A new line of 1/6 scale figures and mini busts, based on the cult favorite 1980 Flash Gordon movie, are coming from BIG Chief Studios. They are known for their 1/6 scale figures based on Doctor Who, Sherlock, and the James Bond franchise. With their announcement, they have revealed the first two 12″ tall figures. 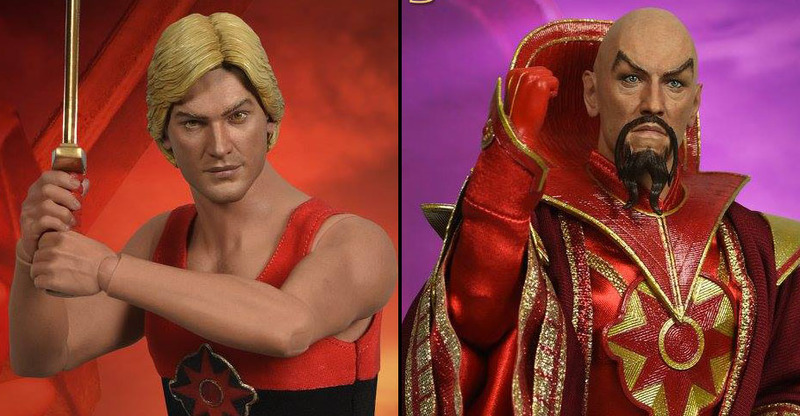 BIG Chief is kicking off the line with a Flash Gordon 1/6 Scale Character Replica Figure and a Ming The Merciless 1/6 Scale Character Replica Figure. Additional characters in the line will include Prince Vultan and Prince Barin, with additional figures &#187; Continue Reading. The post BIG Chief Studios Producing Flash Gordon Figures and Collectibles appeared first on The Toyark - News.